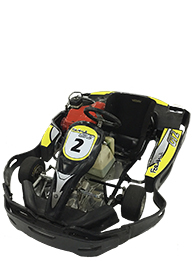 Come go karting with us, you will find 3 different kart models to suit your needs. The kids karts are low speed karts to avoid any accident or loss of control of the vehicle. Very easy and safe to drive if it is your first time. Just have some fun! 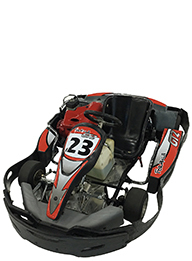 This beginner kart is a standard speed kart for older children and adult beginners. Easy to handle, you can be sure to have a great time without being scared of driving too fast and losing control. Enjoy your race and be the first to cross the finish line! This advanced kart is the highest speed kart for adrenaline lovers. If you are a good driver or already have go karting experience. You can jump into this kart and start your race! Without any doubt a thrilling experience. *Safety equipment (crash helmet & racing suits) are provided. **Sport shoes are compulsory (Also available for rent on site).